I’ve got a suspicion that the talks didn’t go too well. 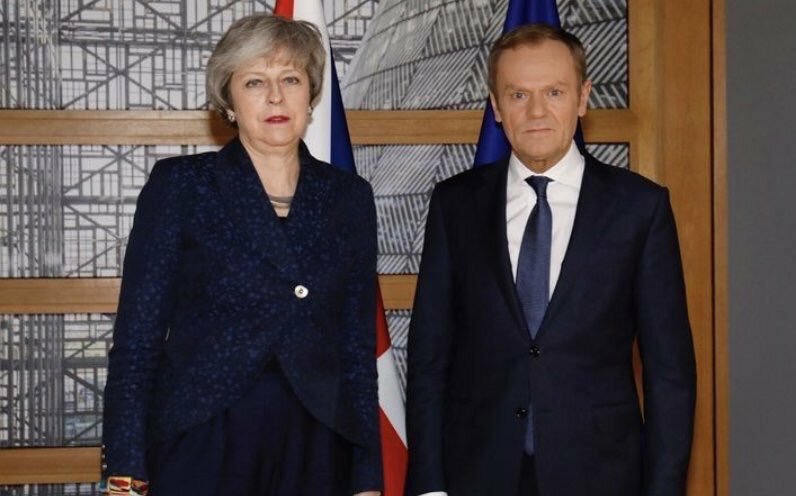 I suspect they heard the news that the Bank of England has said that damage to Britain’s economy from Brexit has increased. It has cut growth forecasts and held rates where they were. Alternatively, I suppose, someone might just have described Ross Thomson’s barroom activities to them. Maybe her smile here is because she had her hands where the sun don’t shine, instead of the other way round. Or maybe, horror of horrors, they heard that Gibraltar is, in fact, a colony. Whatever it was, for heaven’s sake don’t let them near the milk. They’ll sour it. Sorry about the shock to the system. We hope you weren’t about to eat. 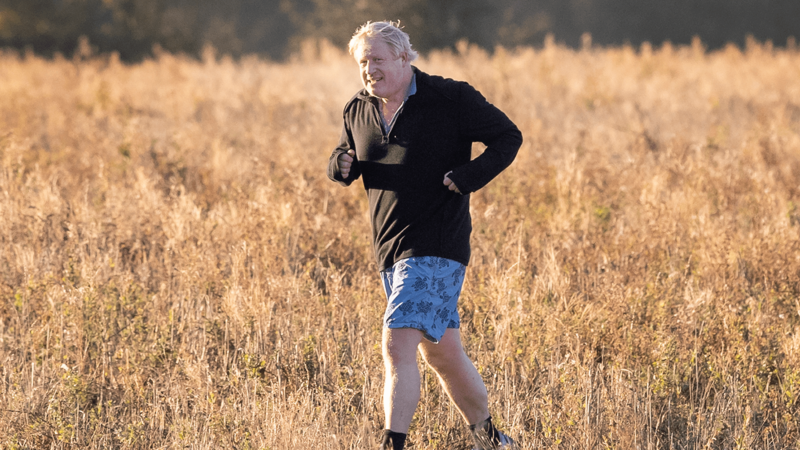 The sight of Boris in his under garments isn’t advised either before or after a heavy meal..or indeed at any other time. Basically, he said he thought everyone should get behind Theresa May and push her off… No, sorry, got carried away there. Munguin made me say it, honest. He said they should get behind her, but he also said that she had to ditch “Chequers” (the agreement, not the house), which she has already said is the only possible way forward. So, if I understand right, he’s saying that they should get behind her if she adopts HIS policies. Is it just me, or is she starting to look like Mr Burns? It has all made Mrs May “cross”. I am wondering how concerned Mr Johnson is about the prime ministerial crossness. Making people cross is his business, after all, so I’m suspecting ‘not a lot’ is probably the answer to that. Still, even if he is, he has a new protector in the form of his new wingman, Ross Thomson. Obviously more interested in preferment in a Boris government than bothering about his constituents. Adding to Tessy woes, the Irish Border problem is never far from the surface. Queen Arlene of Orange has laid it on the line to the PM. If May agrees to any kind of border in the Irish Sea, then the support deal is off (‘what billion you paid as a bribe?’, she was heard to say). There must be no difference between Great Britain and Northern Ireland, well, obviously except in matters like abortion or gay marriage, or any other loonie stuff. 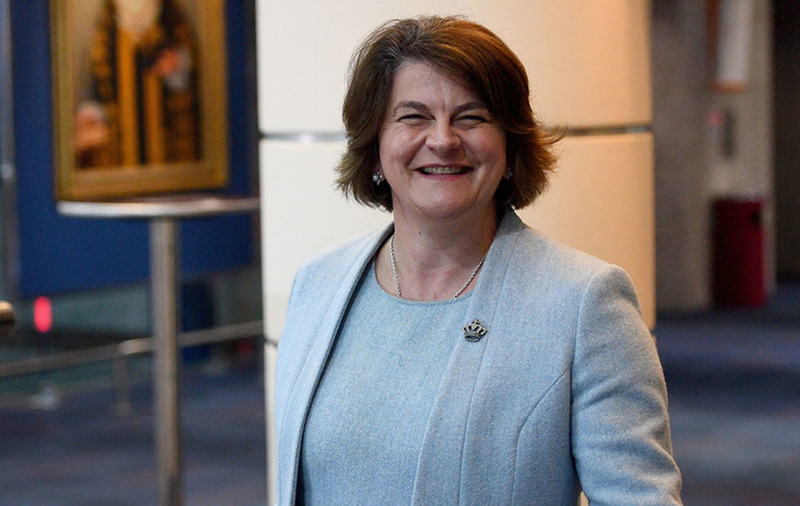 She also indicated that the Good Friday Agreement wasn’t sacrosanct… which I think she will find is a quite a large lie… and she may end up going to hell. Can’t wait for tomorrow. I bet all the minions are going around with superglue nailing letters to the wall. What’s the theme this year? OPPORTUNISTS? Mrs May’s red lines have left the only two possibilities open to the UK, the so-called Canada style agreement or no deal. Other options, the Norway, Iceland, Liechtenstein option; the Swiss option; the Ukraine option; the Turkey option are seen to involve too many intrusions into the Tory/DUP (and to be fair Labour) view of what an independent UK should look like. Hang on tight. It’s going to be a bumpy ride. Let’s hope that the train stops at Independence Station before the whatsit hits the fan. Norway 🇳🇴 has made $131 billion in the last year to give to its citizens from its sovereign wealth fund. 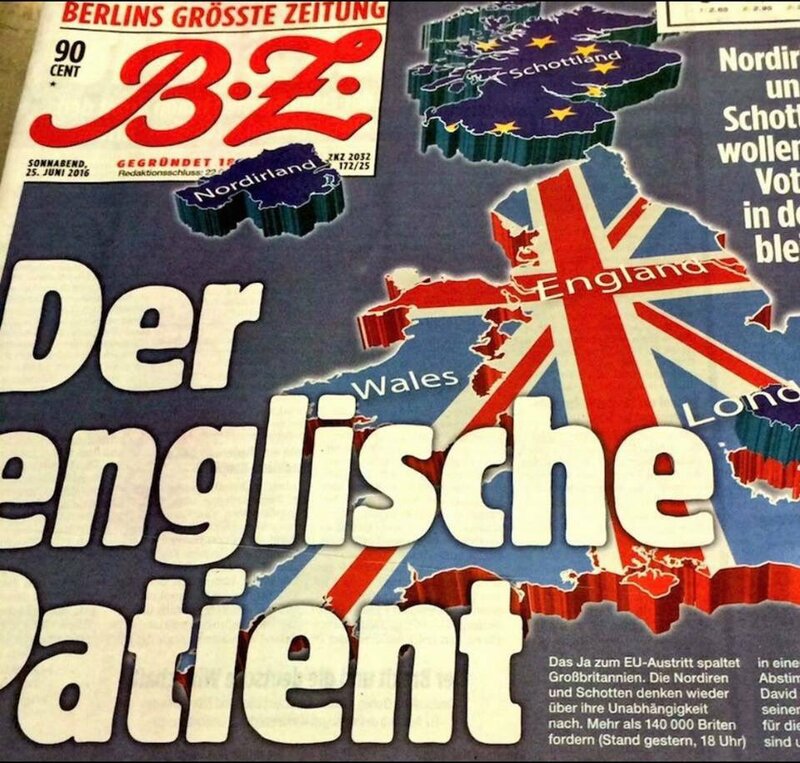 Ah, to live in a country that cares about its population. Does anyone know why AUOB has been denied the use of Holyrood Park next Saturday? And who it was that issued the order? It’s owned by Historic Environment Scotland and as far as I can see it is a public space. Can they stop us going there? Aye Ross. It’s like the evil SNP are doing it on purpose. You know, the will of the Scottish people thing? Oh sorry, of course, you don’t. In the face of the UK getting itself a well-deserved reputation for being a closed and exclusive (as in ‘excluding‘) place, shutting itself off from its neighbours and taking a narrow racist “send ’em home” attitude to “foreigners”, the Scottish government, very keen to encourage the immigration our economy and our society desperately needs, has made a short film. Scotland’s a great country – but it’s even greater when people come together. Our new campaign celebrates the positive impact of people who choose to make Scotland their home. OK, we draw the line at the Tories actually having something good to say about Scotland so we will leave it at the four parties. They wouldn’t have made it. So then along comes yer actual loonies’ loony Ross Thomson, you know, the bloke who knows more about Middle East peace than President Obama*, and he gets his pants in a twist and sees all sorts of stuff that …well, we can’t see for the life of us. I’ve written to @PermSecScot about this. 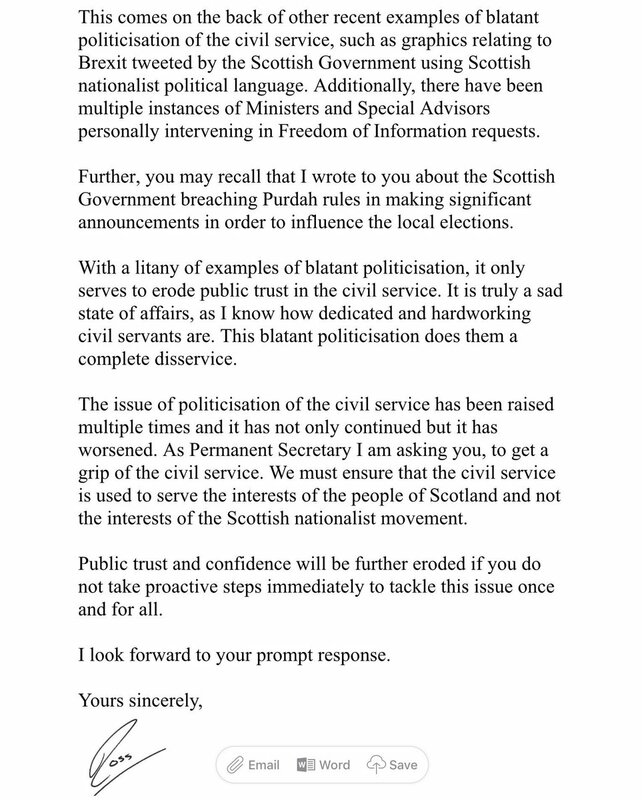 Yet another example of the blatant politicisation of the civil service by the SNP. 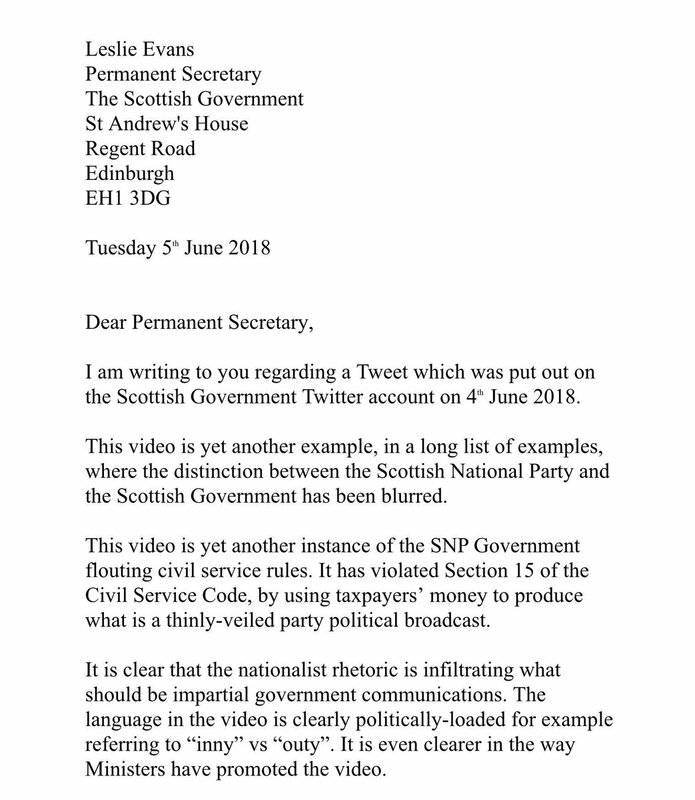 This video amounts to a thinly veiled party political broadcast for the SNP and is using taxpayers money to run an independence campaign by stealth. If anyone can see blatant politicisation in the video, I wish they would explain it to me. * Did anyone tell him that his boss is, with Germany and France, against Trump’s plans to revoke the Iran deal?